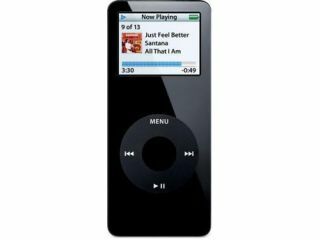 Apple is offering to provide a replacement for all first generation iPod nanos, due to an issue with the battery on some models. In a post on its replacement program site Apple says a small percentage of nanos sold between September 2005 and December 2006 may suffer from over-heating. The post advises owners to stop using the device immediately - if anyone is still using a six year old iPod nano, that is - and fill in the replacement form. "This issue has been traced to a single battery supplier that produced batteries with a manufacturing defect. While the possibility of an incident is rare, the likelihood increases as the battery ages," said the post. Essentially, this is great news for anyone with a first generation nano as Apple will replace it, free of charge with a brand new model. However, it's unclear whether it'll be the new seventh generation touchscreen model, announced in October, or one from a previous era. Apple says it'll take six weeks to receive your new nano, so get digging around your boxes of haggard old tech, because a shiny upgrade waits in the wings.